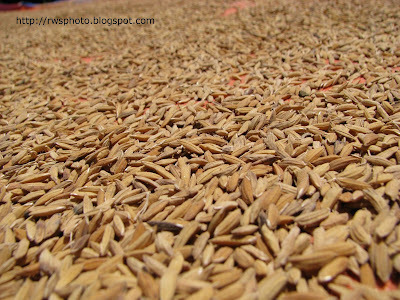 During padi harvesting, after the rice stalks are threshed, the padi grains are dried under the hot tropical sun. 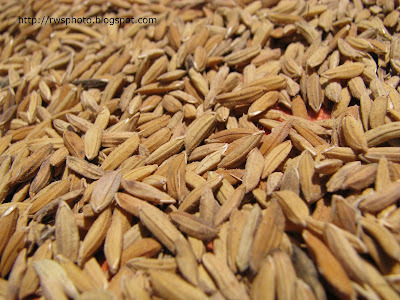 Once the padi grains are dried, it then can be send to the rice miller for processing. Padi dried on canvas. In the old days, padi are dried on a Bidayuh mat called "kasah" which is made of slitted rattan and tree barks. 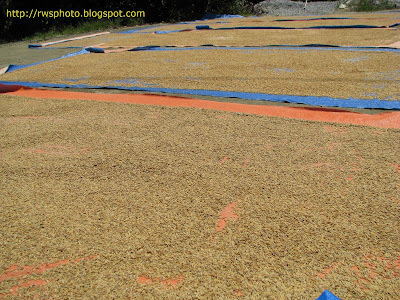 The kasah is then laid on a traditional Bidayuh bamboo platform called "tanju"
Closer shot of paid grains.